I’m back today with another review for you. We were invited to test out a complimentary Mini Bakers Club subscription box by BKD. I love the premise of this box, because it combines two of our family passions: crafting AND baking. The boxes are designed to encourage children age 3+ to learn through play, creativity and food, and each monthly box has a different theme. February’s theme was ‘Love Is All Around’. So let’s take a look at what’s in the box. 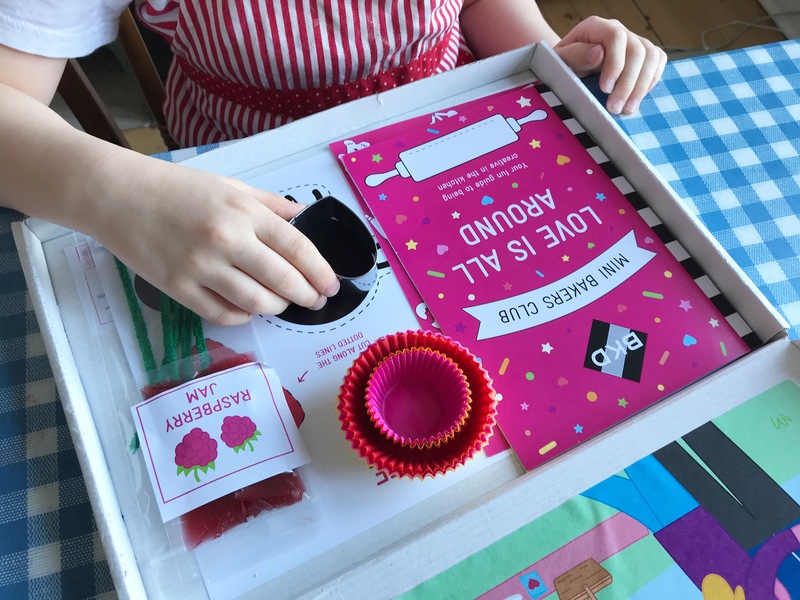 Each monthly box comes with a recipe card and baking ingredients needed to make that month’s recipe (well, those you can send through the post, you’ll need to add things like butter, milk or eggs from home), materials and templates for a craft project, and an activity book with any relevant instructions as well as other ideas and inspiration. Another lovely little touch, is that the boxes are personalised to include you child(ren)’s name(s). It’s just a little thing, but my boys were super chuffed by this. We decided to start with the baking. 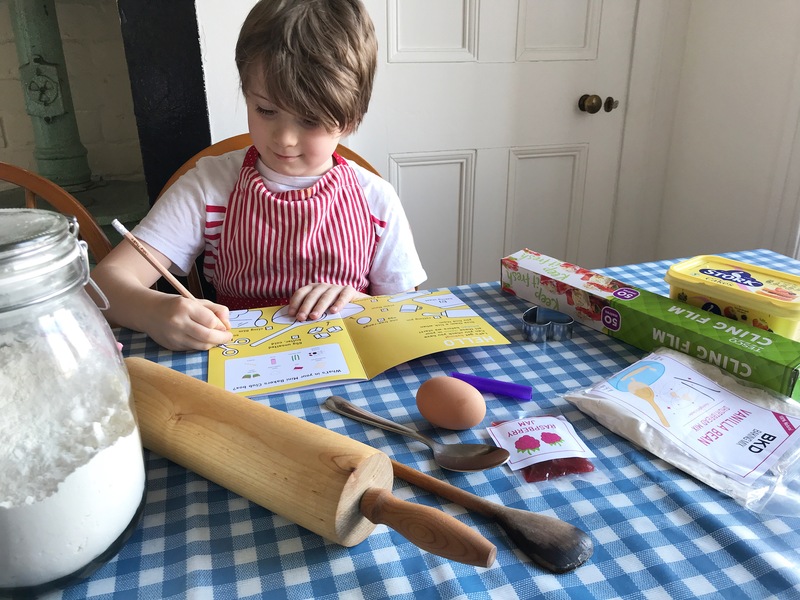 The activity book included a check list of what else we would need, so we went through this together, with Oskar ticking things off as we went along. 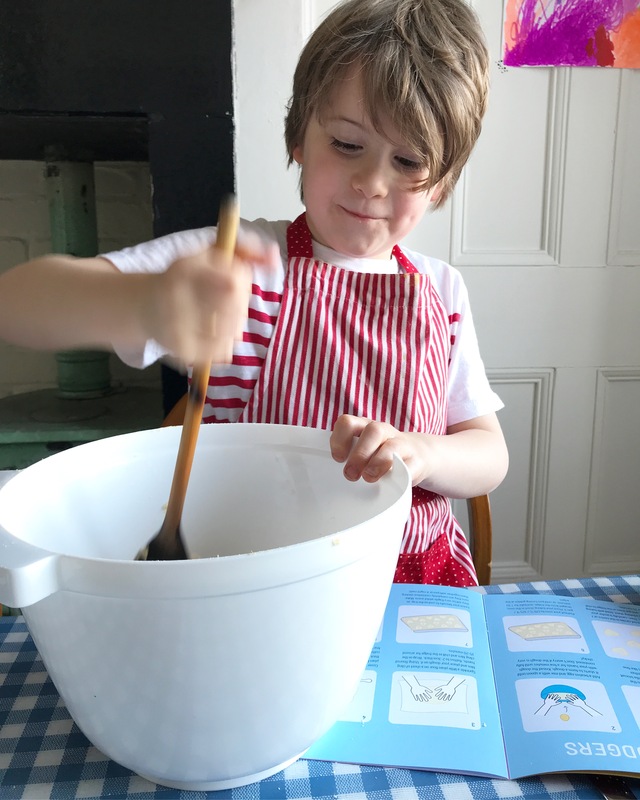 The recipe this month was Jammy Dodgers, and the box included a vanilla shortbread baking mix, with flour, sugar and vanilla essence already pre-mixed, so all Oskar had to do was empty it in to a bowl. But what I really liked, is that the box also included the recipe for how to make the biscuits from scratch, which means we can make more of them even without the baking mix! 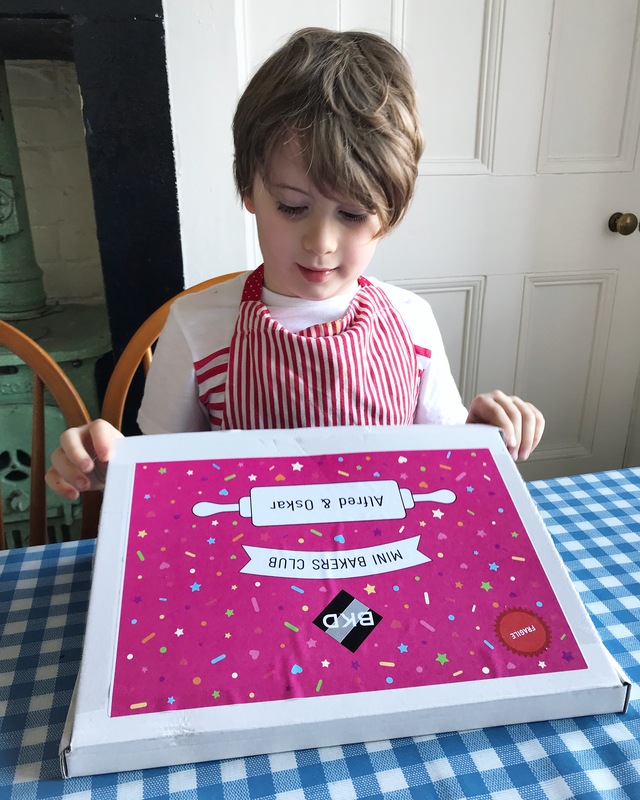 This is a great idea for making the kids’ interest in the box go a little further, and Oskar has already said he wants to bake some more for his friends because the ones we made at the weekend didn’t last long, haha. 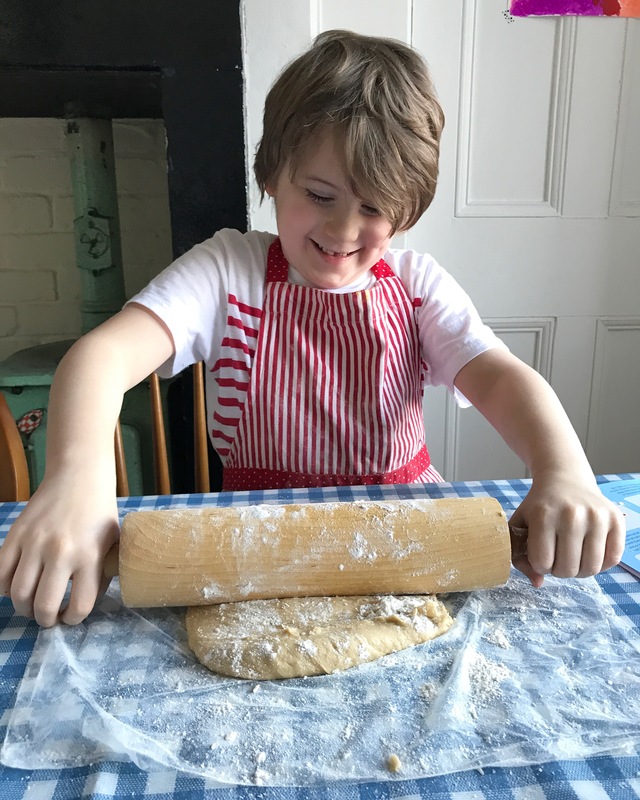 Next, we had to mix and knead the dough – and when I say ‘we’, I mostly mean Oskar because I was only allowed to be a mere assistant. 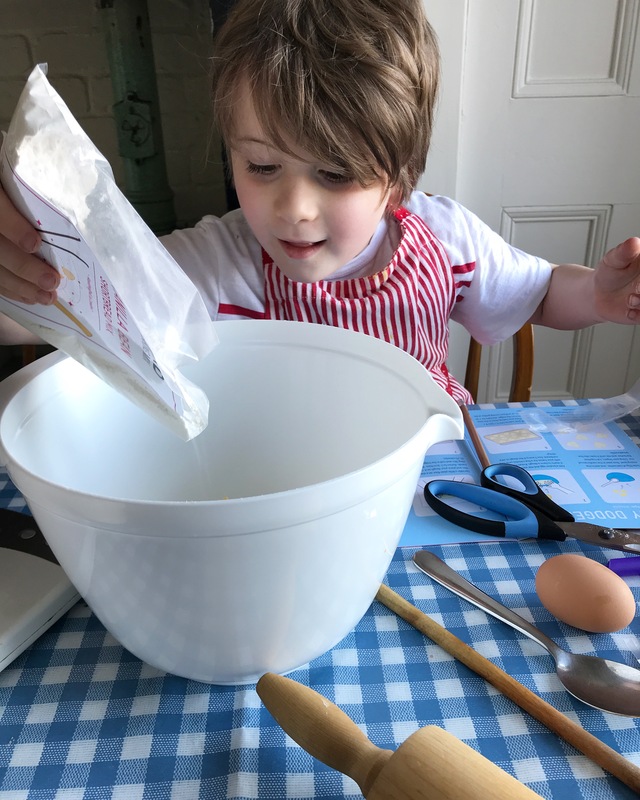 I’ve never seen him this enthusiastic about baking before. Usually he lets me make the dough, and then just comes along at the end to get to work with the cookie cutters. The dough then had to rest in the fridge for a while, which was an excellent opportunity to get started on the craft project. The craft project was making a flower bouquet out of cupcake cases. Oskar already had some experience in this, because he actually helped me with an almost identical tutorial the other day, which I have lined up on the blog for Spring. I guess cupcake case flowers are quite popular just now, haha. 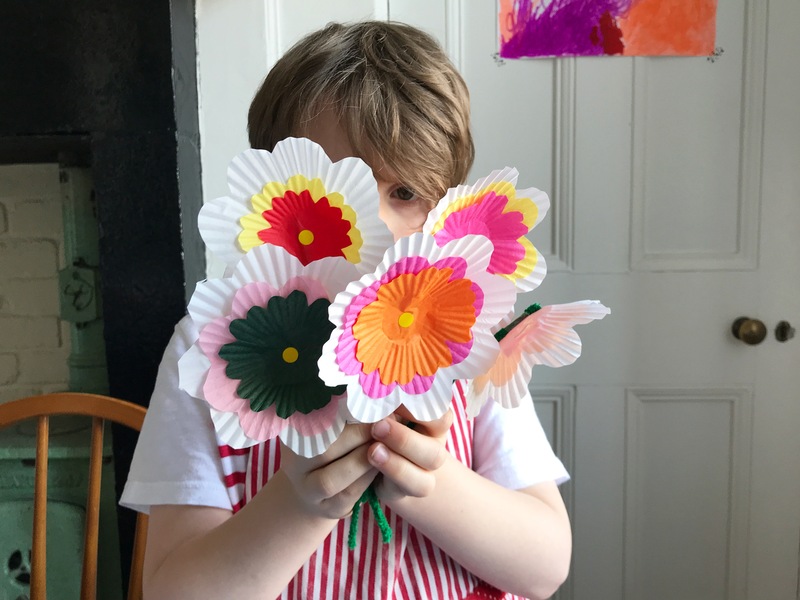 But nevertheless, he did enjoy making some more, although he insisted on adding an extra layer of petals to the flowers, using the left over cupcake cases from when we made them before. I love that he put his own slant on the project from the box, instead of just rigidly following instructions. That’s what nurturing creativity is all about! 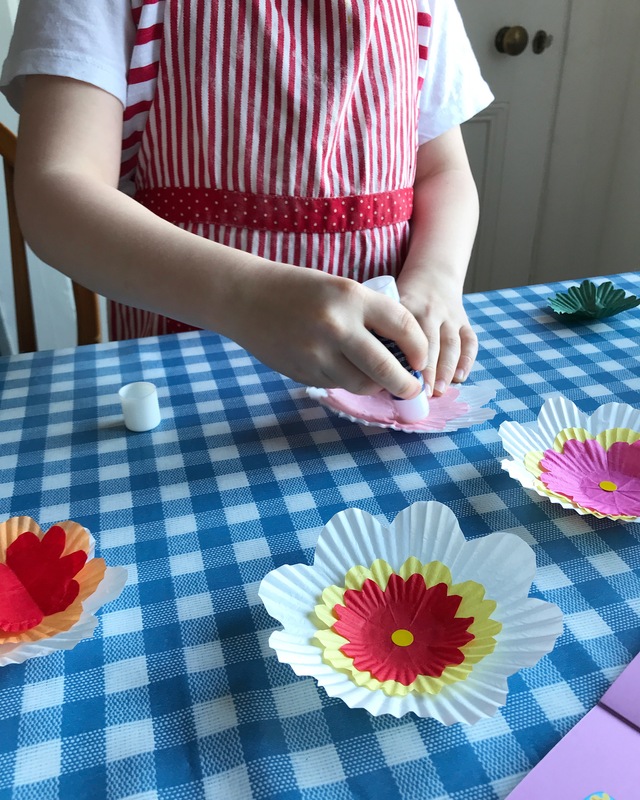 The activity book also included instructions on how to make a vase for your flowers, but we didn’t have any suitable empty containers in the house, so we may make this at a later point. 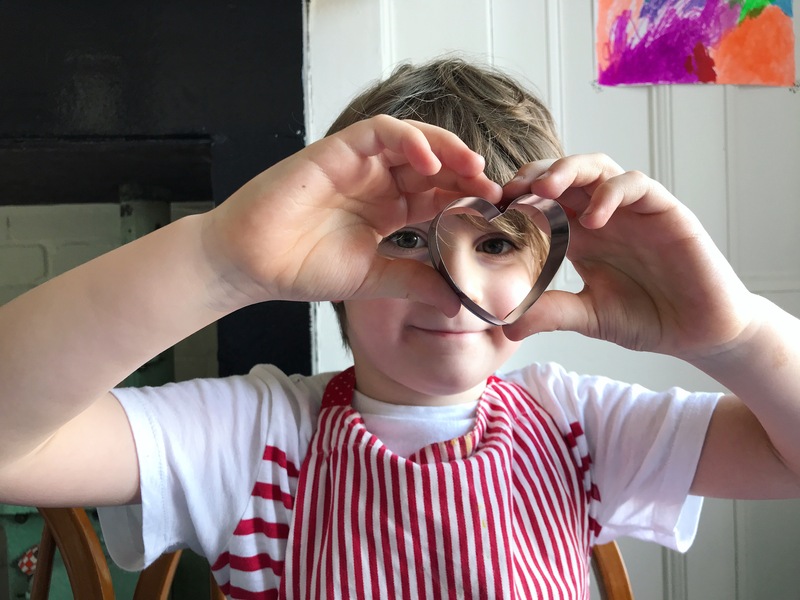 When we were done with the flowers, it was time for the next stage of our baking – cutting out the hearts! 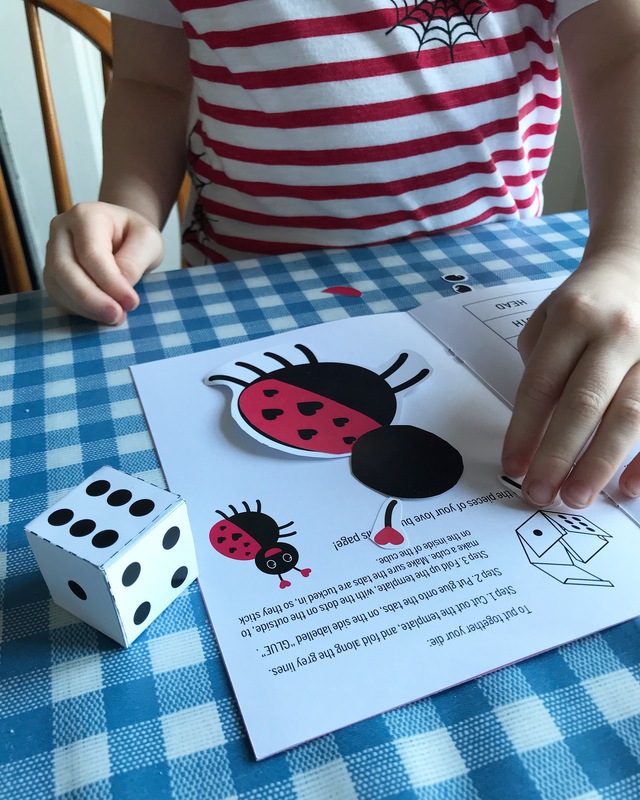 While the biscuits were in the oven baking, we had another little project in the box to make – a Love Bug game. It included a Love Bug template and die to cut out. After making the die, you then put the Love Bug together according to the numbers you roll. 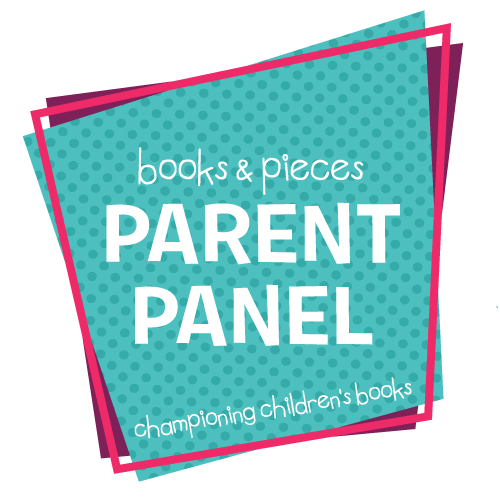 The activity book said to stick the pieces on to a page in the book, but Oskar decided not to do that so he could play the game more than once. 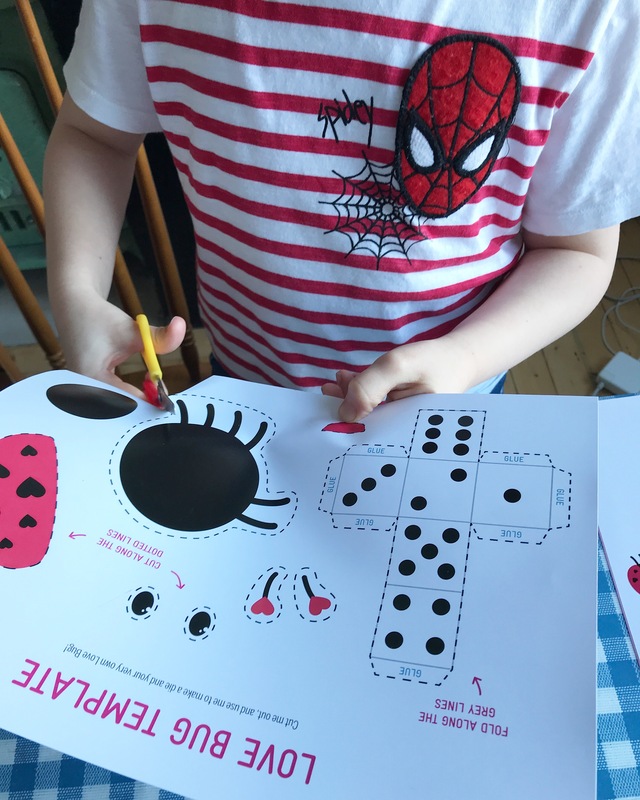 If you have access to a photocopier, you could also make copies of the Love Bug template before cutting it out, so that several children can play the game together. By the way, you may have noticed at the beginning that the box was addressed to both boys, and are wondering where Mr Fox is in all this. Well, he didn’t want to be in any of the photos this time, which I completely respect. 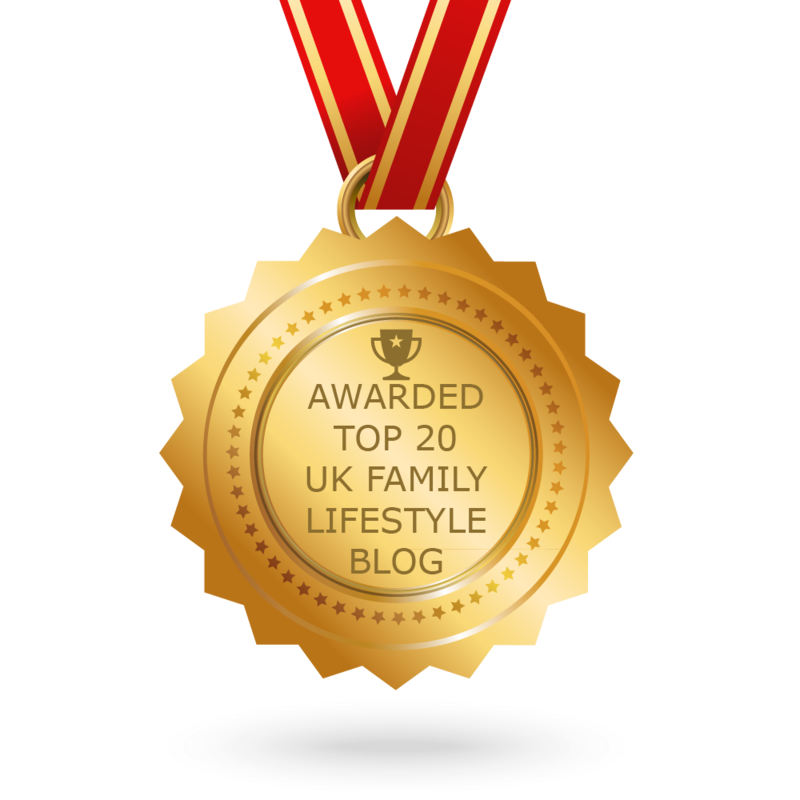 I’m not going to make my kids do something they don’t want to, just for the sake of the blog! Sometimes he likes to help out, and sometimes he doesn’t, and that’s totally up to him. Finally, it was time to get the biscuits out the oven. 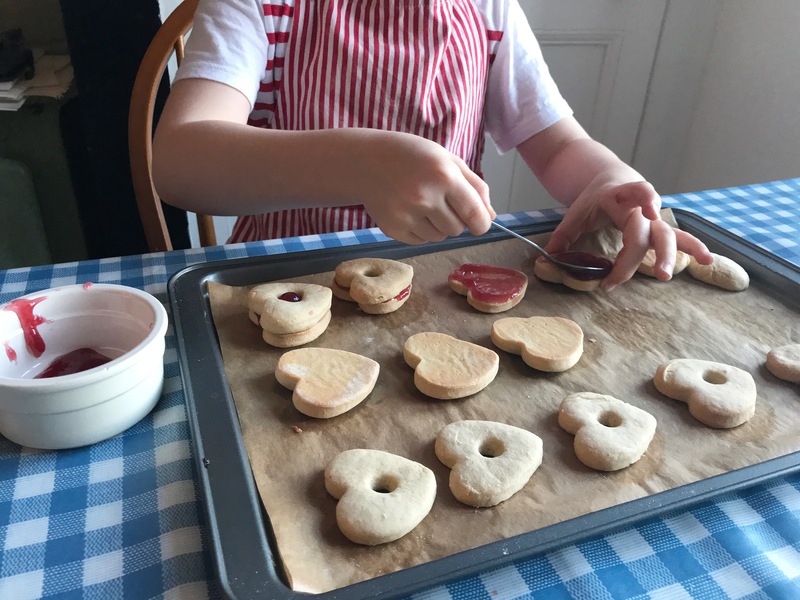 We needed to wait for them to cool down, and then the last step was to fill them with jam and sandwich them together – just in time for afternoon tea! 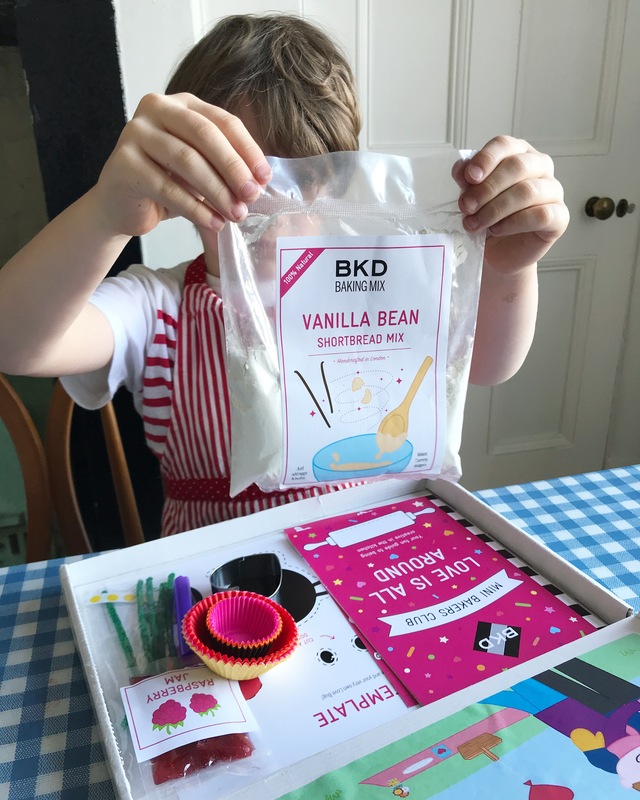 So what’s our verdict on the Mini Bakers Club subscription box by BKD? I love the idea of combining baking and crafting in one box. 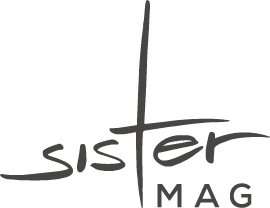 It’s great for those who can’t decide between different kinds of subscription boxes available. 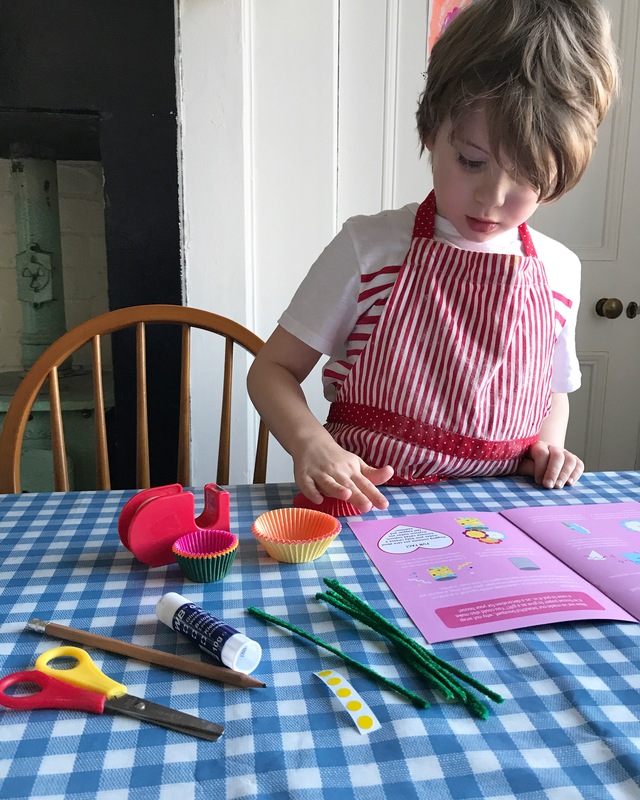 And, as we saw, having a craft project to keep the kids occupied while they wait on their baking to be ready is also a fantastic idea. 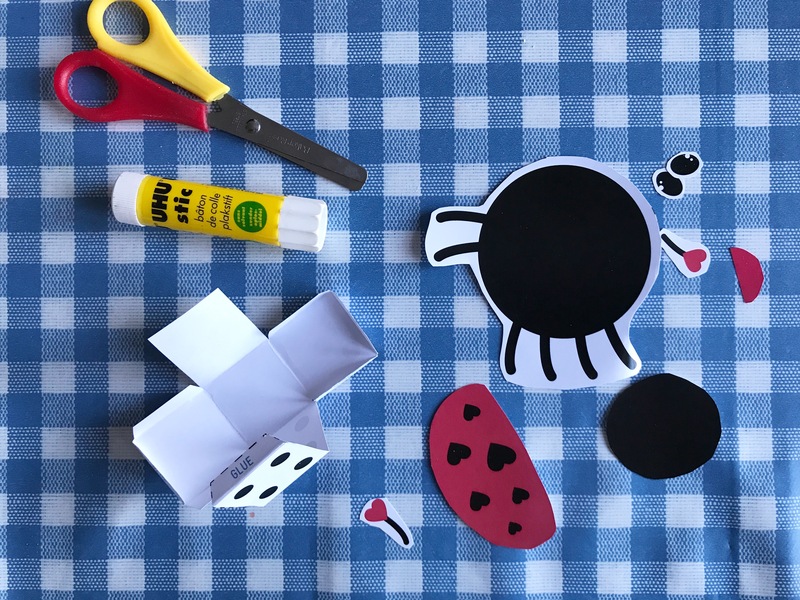 The addition of instructions on how to make the recipe again from scratch, and extra craft ideas in the activity book, as well as fun facts and, in this case, a puzzle page to learn about symmetrical shapes, makes this a box that will keep giving for a while longer. It’s definitely a box I would recommend to others. 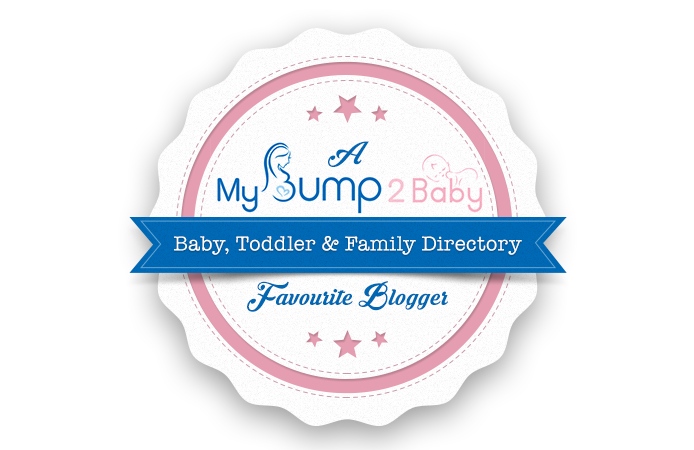 Subscriptions costs £9.99, or you can take out a 3, 6 or 12 months subscription which work out a little cheaper. 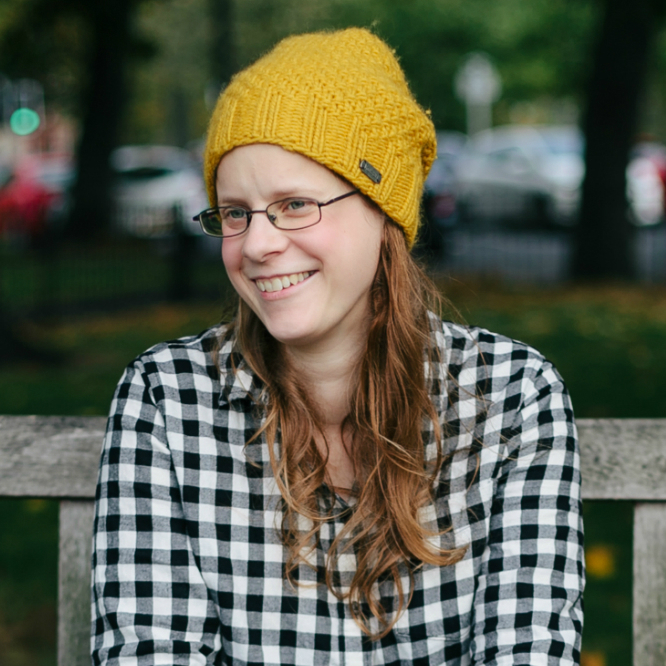 All further details on how the subscriptions work can be found on the BKD website. Disclosure: We were sent a free Mini Bakers Club subscription box by BKD for review. All images, word and opinions, however, are our own. What a fantastic idea – right up my street. My kids would have loved this when they were a little younger and I can see from their faces that yours did too! 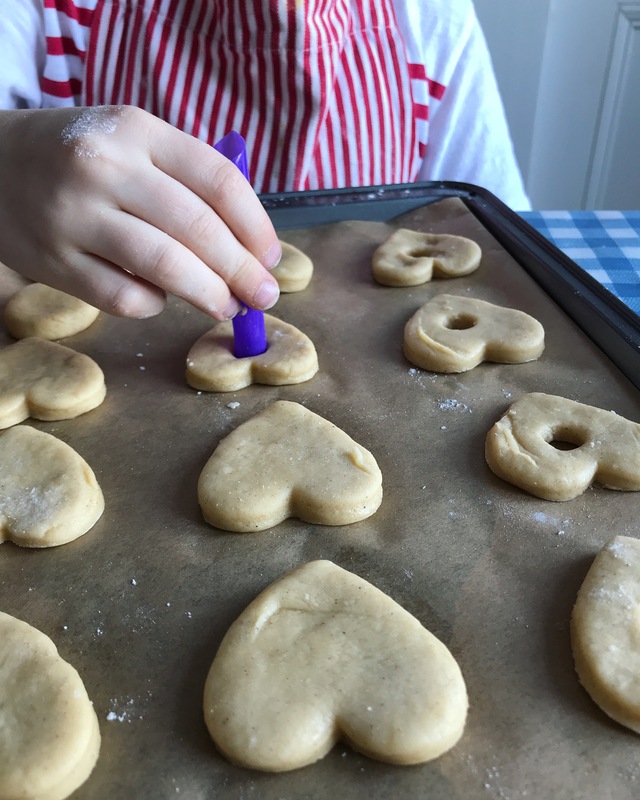 Particularly like how you get the recipe so you can make them again – brilliant idea (those cookies look amazing). What a brilliant looking box. I love things like this for kids. oh my goodness I didn’t know this existed. My boy would LOVE this. 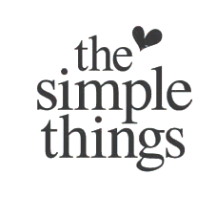 He adores baking and to have something drop through our box to remind us would be fabulous. I love the extra activities as well. Your boy looks so careful making his biscuits. They look amazing. What a fantastic box! I love the baking a craft being combined, they are our two favourite activities in our house. I’ll show my MIL this as I know she wanted to get my eldest a subscription for her birthday.